Tuning forks, tibetan bowls, rain sticks and music are all instruments used in acoustic healing sessions. Tuning forks are hand held tools precisely tuned to specific sound frequencies. Most people will think of them as being used as a reference tone to help the accurate tuning of a musical instrument. In healing work, frequencies may be used to exact specific actions usually within the auric fields or on meridian points. For example: The vibrations produced when they are struck may act to tonify, disperse, warm, or cool; these examples describe actions ascribed to specific frequencies. 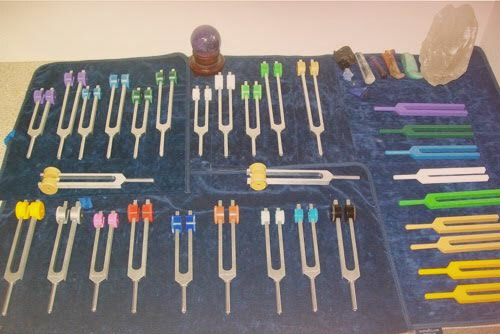 Each tuning fork frequency may be produced in as many as 4 different octaves. The meridians of the physical body have several entry points, called acupuncture points, or just ‘points’. 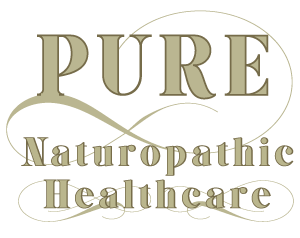 This point system is utilized in the course of both acupuncture and tuning fork treatments. Chakras, or the seven major energy centers aligning the central axis, can also be treat directly. Tuning fork treatments can focus on acute complaints or on a constitutional problem just as needle treatments are widely adapted to the needs of the individual. With forks, the practitioner can select the most advantageous frequencies to treat the present imbalance. Usually two forks will be used simultaneously for their combined action: each fork is medicinal, therefore, the learned art of point and fork selection will largely affect the experience of the patient. Musical intervals, specific frequencies, and octaves are all considered in fork selection. Studies in the location and function of points and meridians is essential to adeptly apply this elegant but powerful modality. As well, musical knowledge is an advantage. It is as if we are applying music, or a personal song, to further harmonize with frequencies that reassert a balanced organ systems and reverb the world around us. This effect influences mental and emotional health alike. It is vibration as medicine. Organized vibrational frequency is the basis of all aspects of the human being, of life itself; it determines all material presence, all distinctive qualities expressed in the physical, emotional, mental and spiritual bodies.